BIJT.org blog - weblog I started for my PhD research on identity	and the mobile phone (2005 - 2010). Still in use for sporadic posts. The Mobile City – ongoing project about new media technologies and urbanism, co-founded with Martijn de Waal. Dunia Digit@l: internet in Indonesië 2000 - Website for my master's thesis about internet use in Indonesia in the year 2000 (in Dutch, English summary). De Lange, M. (2001). 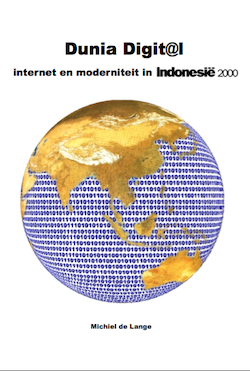 Dunia Digit@l: Internet en Moderniteit in Indonesië 2000. Unpublished Master thesis, University of Amsterdam, Amsterdam. De Lange, M. (2010). 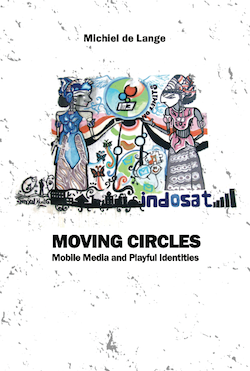 Moving Circles: mobile media and playful identities. Unpublished PhD dissertation, Erasmus University Rotterdam, Rotterdam. This work is licensed under a Creative Commons Attribution-NonCommercial-ShareAlike 3.0 Unported License, unless otherwise expressly stated.